By Lawrence Carter, Alice Ross and Sandler Clarke – Unearthed: A recent report by the Institute of Economic Affairs (IEA) pushing back against a crackdown on tax havens was funded by Jersey-based banks, Unearthed can reveal. The IEA used the report to try to persuade a cabinet minister not to increase regulations on Jersey and Guernsey offshore financial centres, according to its director general Mark Littlewood. Jersey Finance, which represents the island’s banking sector and is part-funded by the States of Jersey Government, funded a June 2018 report called “Offshore Bet: The benefits of capital mobility”, that argued against increased regulation of offshore financial centres. 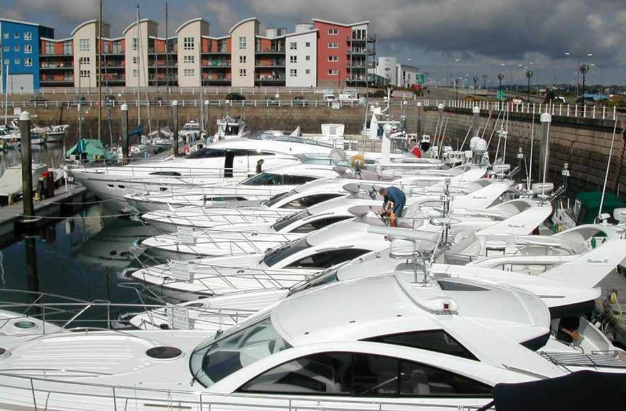 Jersey Finance has been open about its support for the ‘Offshore Bet’ report. The IEA does not reveal its sources of funding as a matter of policy. The news comes after a major investigation by Unearthed revealed that the IEA, which is an educational charity, is funded by oil major BP and gambling companies, and that its director general Mark Littlewood solicited donations for its Brexit and trade work from US businessmen, including agribusiness tycoons. The investigation further revealed how donors to the IEA can shape its research. Littlewood told an undercover Unearthed reporter that funders were not able to change the conclusions of IEA research, but they could influence the “content” and “salience” of issues covered by its reports. In 2012 the UK casino industry funded a report on casino deregulation and said it saw the IEA as a way of getting its messaging out via an independent organisation, according to a document seen by Unearthed. The ‘Offshore Bet’ report aimed to shift the debate over tax havens by offering a more positive picture of their contribution to the global economy. It followed increased scrutiny of the role of offshore financial centres in enabling tax avoidance and corruption, including a successful move by a cross-party group of backbench MPs to increase transparency in British overseas territories, although this did not include Jersey, Guernsey and the Isle of Man. Jersey Finance issued a press release to accompany the launch of the report saying that the research had been “undertaken by the Institute of Economic Affairs (IEA), with support from Jersey Finance”. However, there is no mention in the report or on the IEA’s website of the source of the report’s funding. A spokesman for Jersey Finance said it had not paid the IEA for the ‘Offshore Bet’ report but had “provided some funding to support the research phase of the paper”. Jersey Finance told The Guardian that it checked the paper for factual accuracy where Jersey was referenced, but did not have any editing rights. “Any received funding does not, under any circumstances, influence the conclusions of reports and our rigorous peer-review process means we are confident that our output is independent and free from conflict of interest,” she continued. Another recent IEA report on financial services – published in May and authored by IEA trade expert Shanker Singham – was funded by the financial services industry in Guernsey, according to The Guardian. It also funded a trip by Singham to Guernsey where he gave a talk about the report’s findings. The Legatum Institute, Singham’s previous employer, told The Guardian that the report had been written when Singham was working at the Legatum Institute and confirmed it was paid by Guernsey to produce the report and host the event. The report argues for a post-Brexit strengthening of ties between the UK and the tax havens that are based in crown dependencies.